Matija Fortuna was born in 1985 in Krizevci, Croatia. In 2009, he graduated in Music Theory, and in 2011 in Orchestral Conducting from the Academy of Music of the University of Zagreb. The first three years of his studies were under maestro Vjekoslav Sutej, and the last two years with maestro Uros Lajovic. He spent the last two semesters of his conducting studies as an Erasmus exchange student at the University of Music and Performing Arts in Vienna in the class of maestro Uros Lajovic. 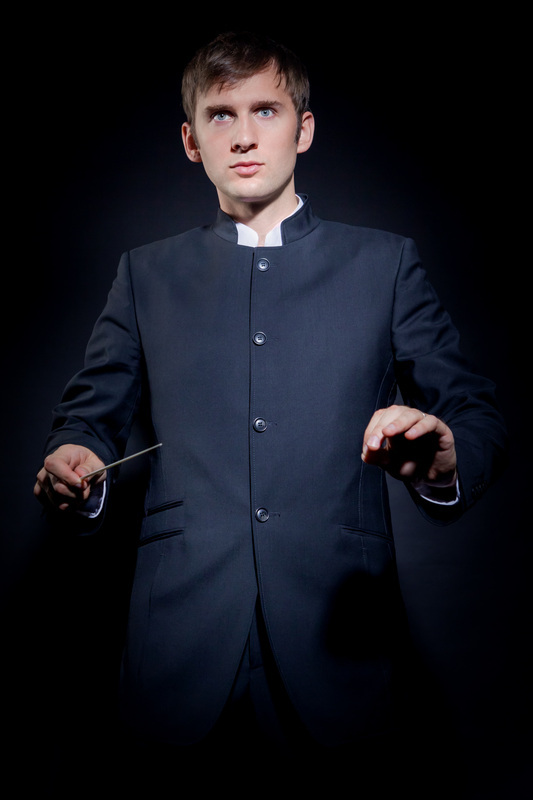 Matija Fortuna finished the postgraduate conducting program at the University of Music and Performing Arts in Vienna also in the class of professor Lajovic. In his last academic year, he worked with Bertrand de Billy and Fabio Luisi, and was selected by both of them to conduct at the final concert of the conducting class. In June 2016, Matija is going to conduct two performances of the opera "Andrea Chenier" by Umberto Giordano at Croatian national opera in Rijeka. ​In December 2015, Matija starts to work the Academy of Music of the University of Zagreb, as assistant of a conducting professor. In November 2015, Matija worked as an assistant of conductor Ville Matvejeff at he Croatian national opera in Rijeka in the opera project “Andrea Chenier” by Umberto Giordano. In October 2015, Matija was semi-finalist of the Lovro von Matacic International Conducting Competition in Zagreb and won a special prize for a concert with the Varazdin Chamber Orchestra in the next season. In July and August 2015, Matija worked as an assistant of conductor Georg Fritzsch at Jopera festival in Jennersdorf in the opera project “Der Freischütz” by Carl Maria von Weber with Junge Philharmonie Brandenburg and Philharmonia Choir Vienna. In May 2015, Matija assisted maestro Mladen Tarbuk in the preparation of the first Croatian opera "Ljubav i zloba" composed by Vatroslav Lisinski with Croatian Radiotelevision Orchestra and Choir. In July 2013, as well as in June 2014, Matija was an active participant in the masterclass with the Moscow Philharmonic Orchestra with maestro Yuri Simonov. In November 2014, Matija conducted the opera "Der Freischütz" by Carl Maria von Weber and the rock opera “Black Rider” by Tom Waits at the Opera Department of the University of Music and Performing Arts Vienna. In April 2013, Matija Fortuna prepared and conducted an opera - ballet project with Stravinsky’s music: Mavra (a one-act opera) and Pulcinella (a ballet). He performed it on the Studio Stage ("Neue Studiobühne") at the Opera Department of the University of Music and Performing Arts Vienna. In May 2012, he was the conductor in the project "Der Schauspieldirektor" by W. A. Mozart at the Department for Music Theatre and Opera at the University of Performing Arts and Music in Vienna, where he led two performances. Additionally, on various occasions Matija Fortuna attended masterclasses with Colin Metters, Nicolas Pasquet, Yuri Simonov, Clark Rundell, Mark Heron, Ganluigi Gelmeti, Ralf Weikert, Stephan Cleobury, Alun Francis and Karolos Trikolidis. ​He was the conductor of the Oratorian Choir of St. Mark’s Church Cantores Sancti Marci in Zagreb from 2008 until 2010, as well as the conductor of Youth Tambura Orchestra of the Music High School "Albert Striga" in Krizevci, Croatia.